The Supermicro X10DRFF-C is a Dual Socket Intel Xeon Motherboard with up to 2TB Memory Capacity, 10x SATA3, 2x USB 3.0 ports, Integrated IPMI 2.0 and KVM with Dedicated LAN. 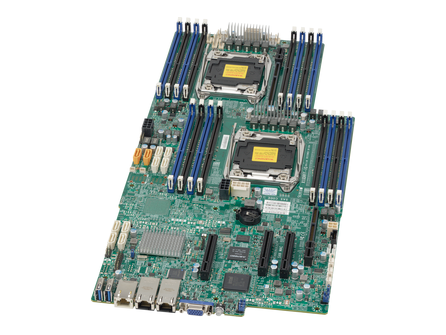 The Supermicro X10DRFF is a Dual Socket Intel Xeon Motherboard with up to 2TB Memory Capacity, 10x SATA3, 2x USB 3.0 ports, Integrated IPMI 2.0 and KVM with Dedicated LAN. The Supermicro X10DRFF-ITG is a Dual Socket Intel Xeon Motherboard with up to 2TB Memory Capacity, 10x SATA3, 2x USB 3.0 ports, Integrated IPMI 2.0 and KVM with Dedicated LAN. The Supermicro X10DRFF-iG is a Dual Socket Intel Xeon Motherboard with up to 2TB Memory Capacity, 10x SATA3, 2x USB 3.0 ports, Integrated IPMI 2.0 and KVM with Dedicated LAN. 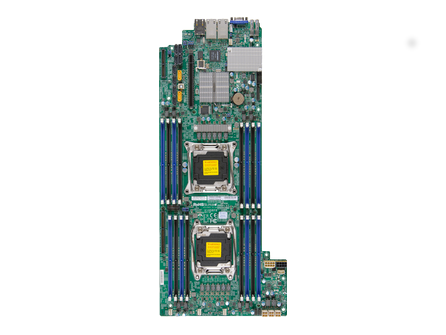 The Supermicro X10DRFF-CTG is a Dual Socket Intel Xeon Motherboard with up to 2TB Memory Capacity, 10x SATA3, 2x USB 3.0 ports, Integrated IPMI 2.0 and KVM with Dedicated LAN. The Supermicro X10DRFF-CG is a Dual Socket Intel Xeon Motherboard with up to 2TB Memory Capacity, 10x SATA3, 2x USB 3.0 ports, Integrated IPMI 2.0 and KVM with Dedicated LAN. 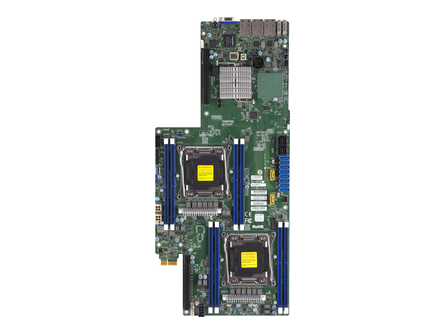 The Supermicro X10DRFR-T is a Dual Socket Intel Xeon Motherboard with up to 2TB Memory Capacity, 10x SATA3, 3x USB 3.0 ports, Integrated IPMI 2.0 and KVM with Dedicated LAN. 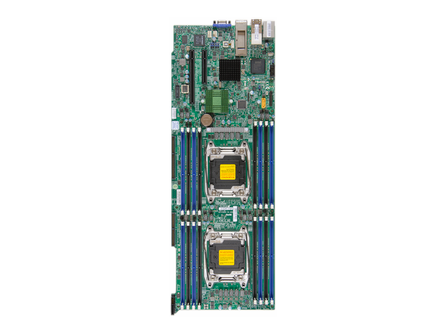 The Supermicro X10DRFR is a Dual Socket Intel Xeon Motherboard with up to 2TB Memory Capacity, 10x SATA3, 3x USB 3.0 ports, Integrated IPMI 2.0 and KVM with Dedicated LAN. The Supermicro X10DRFR-NT is a Dual Socket Intel Xeon Motherboard with up to 2TB Memory Capacity, 10x SATA3, 3x USB 3.0 ports, Integrated IPMI 2.0 and KVM with Dedicated LAN. The Supermicro X10DRFR-N is a Dual Socket Intel Xeon Motherboard with up to 2TB Memory Capacity, 10x SATA3, 3x USB 3.0 ports, Integrated IPMI 2.0 and KVM with Dedicated LAN. The Supermicro X10DRT-PIBF is a Dual Socket Intel Xeon Motherboard with up to 2TB Memory Capacity, 10x SATA3, 2x USB 3.0 ports, Integrated IPMI 2.0 and KVM with Dedicated LAN.